Women in Monterey County are sorely lacking in high school diplomas, and more. Surina Khan, CEO of the Women’s Foundation of California reported in her keynote speech at the Community Foundation for Monterey’s Women’s Fund Lunch May 5 at the Hyatt Regency Monterey. “Monterey County has a devastatingly low high school graduation rate – 27 percent of women do not have a high school degree,” Khan told the sold-out crowd of 470 people. “Nothing is worse for women’s economic well-being than not having a high school degree,” she said. Khan presented findings specific to Monterey County from a recent “California Women’s Well-Being Index” report produced by The California Budget & Policy Center, in partnership with the Women’s Foundation of California. The web-based report ranked counties to show how women are doing in the areas of health, economic standing, and political participation across the state. Monterey County ranks 38 out of 58 counties. In other areas of concern, Monterey County women ranked second to last (57 out of 58) in health care coverage. The nexus between economic security and education is evident. The Women’s Fund of the Community Foundation for Monterey County is raising funds and making grants to address these problems. 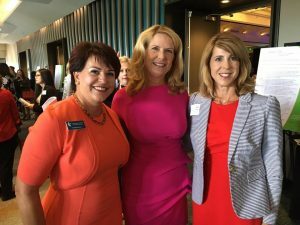 The annual luncheon provided a catalyst for attendees to support local girls. The Women’s Economic Security Initiative is helping women fulfill their dreams. Martha Zepeda (pictured above), a participant in Women in Action group from Soledad, said she had received her drivers license, was learning English, had received her GED and was working for a better life for her and her four children. A scholarship fund was announced that will provide up to $2,500 to Girls’ Health in Girls’ Hands participants and alumna bound for college or already attending. Eighteen applications had already been received. 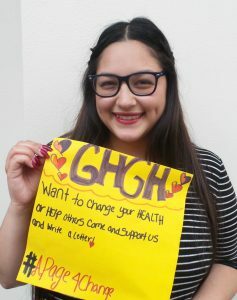 GHGH participant Jackie Guzman shared how the program had made a difference in her life and helped her set education and career goals. 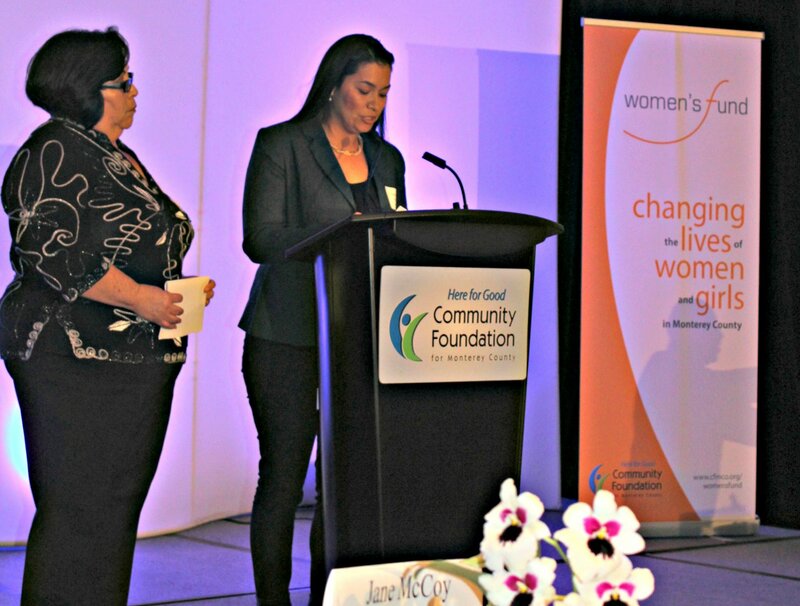 “GHGH has been a great success,” said Tonya Antle,chair of The Women’s Fund. “However, we wanted to take it a step further. As the girls graduated high school, we saw the need to support their aspirations beyond GHGH. Many of these young women have the desire to succeed in college but lack the financial support to do so. Let’s be that bridge,” she said. For more information about The Women’s Fund www.cfmco.org/womensfund. To contribute to the Women’s Fund, contact Christine Dawson, Vice President, Philanthropic Services (831)375-9712, or give online. NOTE: More than $50,000 was raised at the luncheon, funding the first 17 GHGH scholarships in May, 2016.